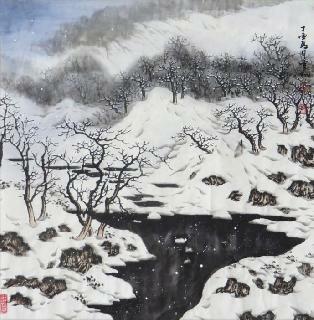 A lot of famous ancient Chinese masters painted snowscape, such as Fan Kuan (one of the most famous three landscape painting painters of Northern Song Dynasty), Guo Xi (outstanding painter of Northern Song Dynasty), Zhao Yong (calligrapher and painter of Yuan Dynasty) and so on. 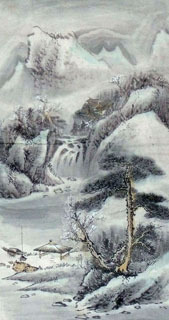 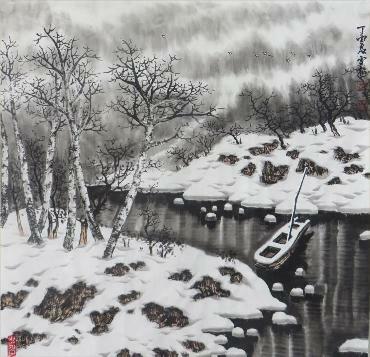 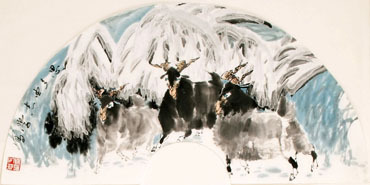 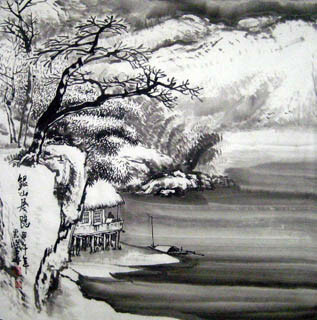 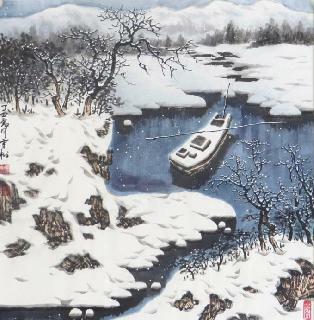 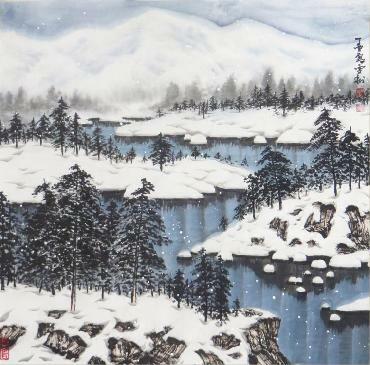 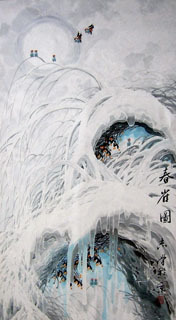 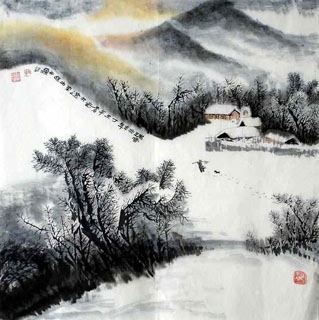 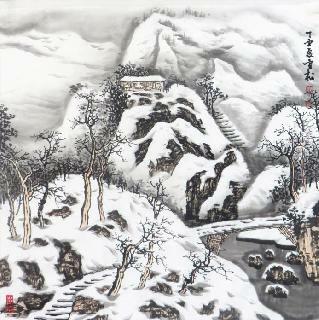 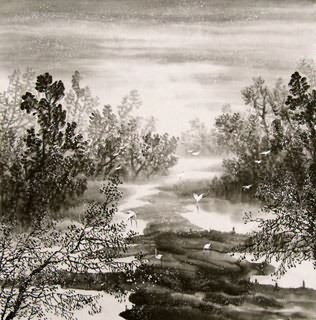 In modern times, landscape painter further develope the techniques of snowscape painting on the basis of summing up the previous experience, and making it become an independent type of Chinese landscape painting. 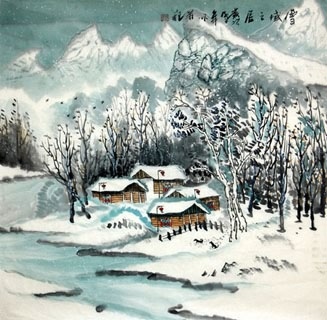 Chinese snowscape painting mainly shows the grand snow scene of the northern part of China especially Northeast China region. 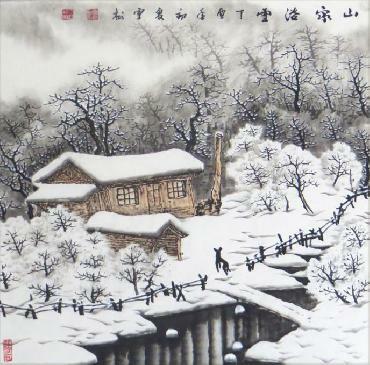 In snow winter, all is covered in silvery white snow, as if we enter a fairyland. 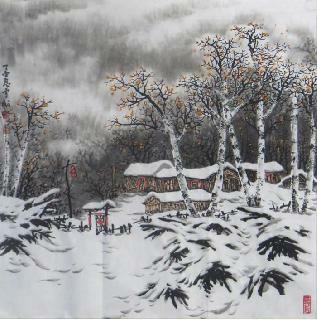 That's why people appreciates the snow scene, for its pureness.